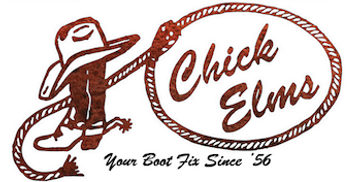 Shop western money clips and leather wallets with confidence at Chick Elms. A wallet is an essential component to a man’s everyday carry. Whether you’re looking for a simple brown leather wallet or a detailed silver cowboy money clip, we’re sure to have something for everyone. For the men who prefer to stick to cash and don’t want to carry anything more than they need, our slim western money clips are the best bet. If you prefer a quality tooled or basket stamped leather western wallet, check our selection of wallets designed to be simple and compact so you don’t have to carry around a bulky wallet. Browse our full selection of cowboy money clips and leather western wallets below!